Our heart is the store house of all the emotions. It carries number of feelings, emotions and so changes itself for every action. But when it develops the constant feel of missing someone then its always quite difficult to overcome. Because that person is the only cure for the sickness of love. 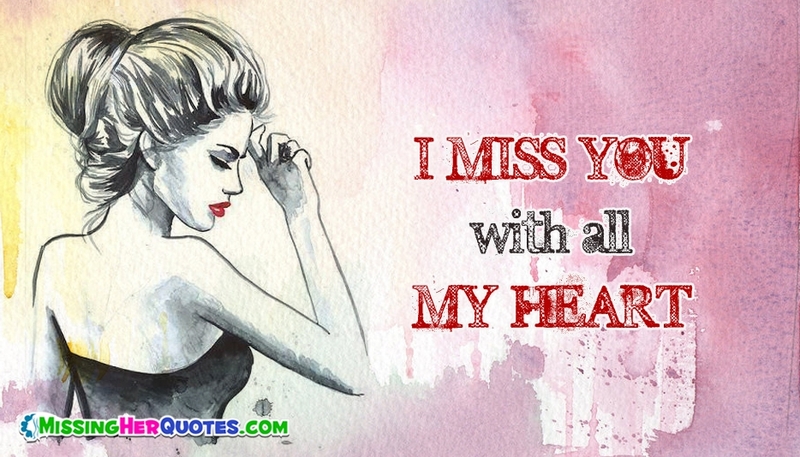 Share this "I Miss You With All My Heart" to let your sweet person know you are not feeling good without him/her. The image is available for free download and share.